The Committee on Climate Change has previously said it would be “feasible and desirable“, to have up to 1.7 million fully electric and plug-in hybrid cars on the road by 2020. But most industry analysts predict the number will be significantly lower. However average new car emissions in 2020 are still likely to meet the EU target of 95 gCO2/km because of the refinement of existing technologies. 200,000 plug-in hybrid and pure battery powered cars being sold each year in the UK by 2020. Some experts think sales of these types of vehicle will actually be as low as 40,000. To put these numbers in perspective, just over 2 million new cars were sold in the UK in 2012. In total there are about 29 million cars on the road in the UK. 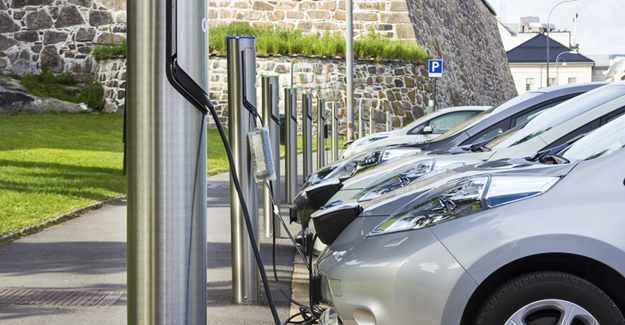 Powering Ahead – which was commissioned jointly by the RAC Foundation and the UK Petroleum Industry Association – analysed the predictions made in 14 other major studies for the take-up of low-carbon cars. Note: Figures based on analysis of 14 major studies into the take-up of low-carbon vehicles. In 2012 2,044,000 new cars were sold in the UK. Figures in the table are based on a rounded number of 2,000,000. “Estimating future sales of electric cars is not quite like sticking the tail on the donkey, but not far from it. There are so many variables to factor in that even those paid to predict the future of low-carbon vehicles cannot agree on what is in store. The only common ground amongst the experts is that we are unlikely to see as many electric cars sold as politicians might like. “It is more than two years since the government introduced the plug-in car grant. Yet even with subsidies of £5,000 per vehicle available only 3,600 cars have been purchased through the scheme. “This report concludes that the key to making electric cars a commercial success is a major advance in battery technology. Until then these vehicles are likely to remain too expensive and too impractical to penetrate the mass market. “The key conclusions of the publication are that conventional petrol and diesel cars are expected to remain the dominant technology in the overall vehicle fleet until at least 2030 and that advances in fuel economy will be primarily achieved by continuing improvements to existing engine technology and greater focus on vehicle efficiency through reduced weight and drag. UKPIA represents the interests of nine member companies engaged in the UK downstream oil industry on a range of common issues relating to refining, distribution and marketing of oil products, in non-competitive areas. UKPIA’s role is to inform its members of proposed legislation and related developments, and to help form and advocate the industry’s position. UKPIA is also an authoritative source of information or reference on the UK downstream industry. The cost of the report was met jointly by the RAC Foundation and the UKPIA. The report will be on the Foundation website – www.racfoundation.org – and also the UKPIA site – www.ukpia.com – from the date of publication.